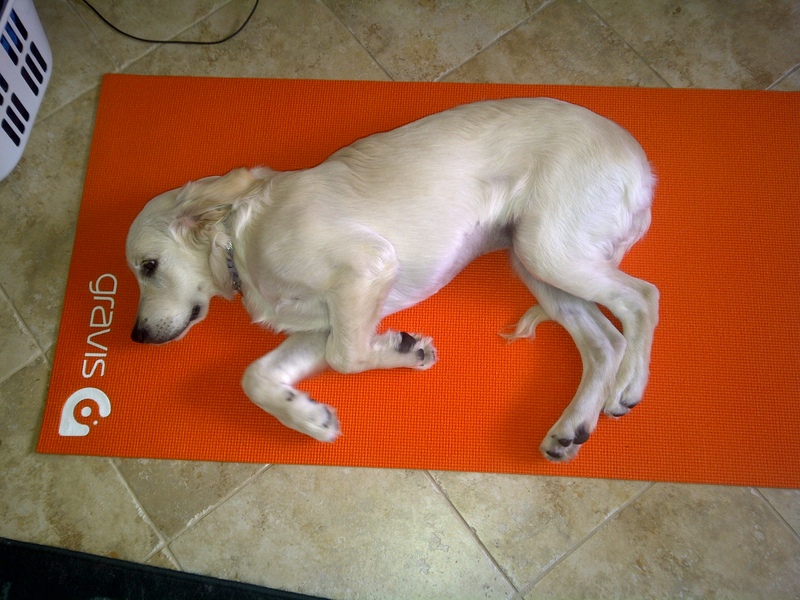 Yesterday mom was doing some Yoga on her bright orange Yoga mat at home. I was VERY interested in what she was doing so I started trying to climb all over her. She told me to lay down and just ‘STAY’ which is pretty boring I have to admit. Finally when she was done I tried to see what all the fuss was about. I got pretty comfy on her mat. I took a long nap while she was sitting at the computer.